New music for you all today! 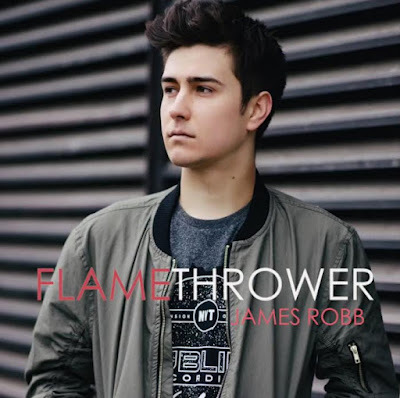 Check out this track "Flamethrower" from British singer/songwriter James Robb! The song, which is the first single from the artist's upcoming EP. was written by James himself and produced by Malaysian artist Kuizz. "It is a song about being burned in a relationship. The horrible feeling when you know one of you cares more than the other, but you're too attached to do anything about it," James explained. "The song's a release of all the frustrations in that moment. It's definitely something I've experienced before and I know lots of other people have too." You can buy the track now on iTunes, and be sure to check out more from James on SoundCloud and YouTube. You can also follow him on Facebook, Twitter, and Instagram!